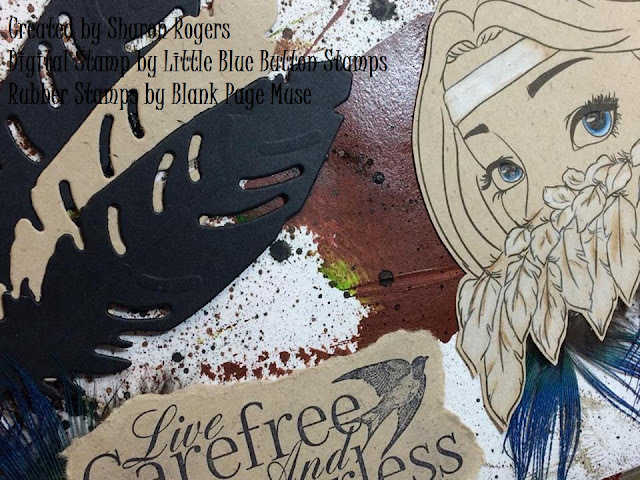 Hello Little Blue Button Stamp Fans! My name is Sharon I’m from Australia and I’m excited to be a Guest DT for this month! I have a wonderful creation to share as guest DT using Mixed Media Gal “Angel” – isn’t she gorgeous? Love all the feathers! I printed “Angel” on Kraft coloured cardstock – sometimes I like to print on Kraft and not colour the image and create a more monotone project. 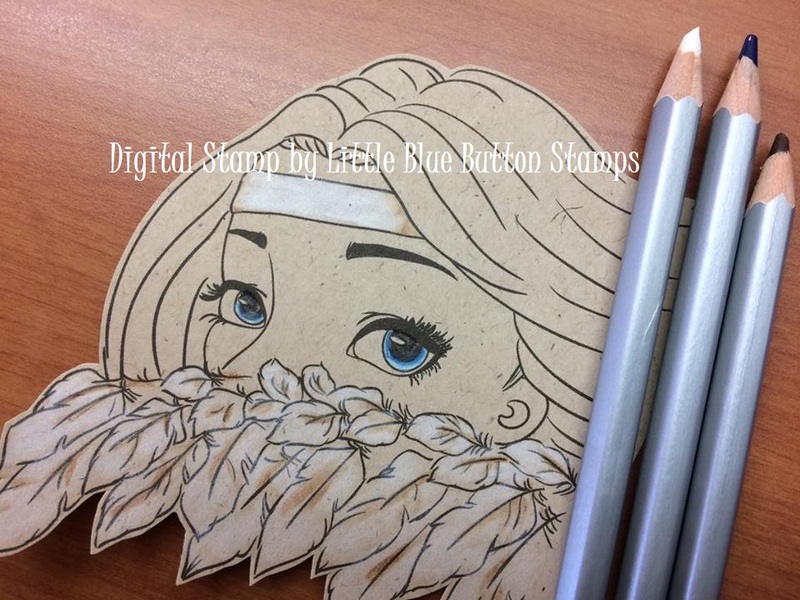 As you can see I added a tiny bit of white and brown to this image with colour pencils and of course her blue eyes! And naturally she has been fussy cut. 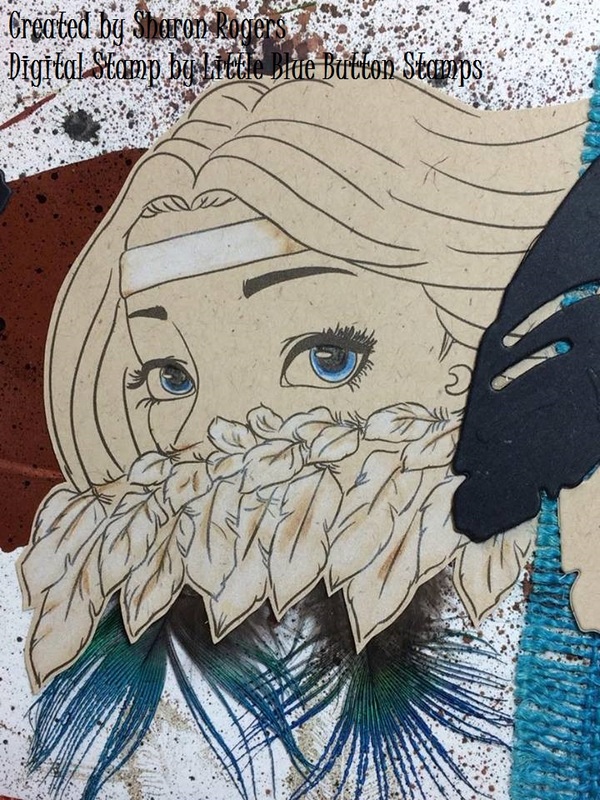 Next step is to create the page- I’ve used a “mop up” page in one of my journals – you will see a blob of paint and ink spritzes already on the page LOL I don’t like to waste any product so I usually smear it over a spare page and then I have a partially ready background to create with next time! 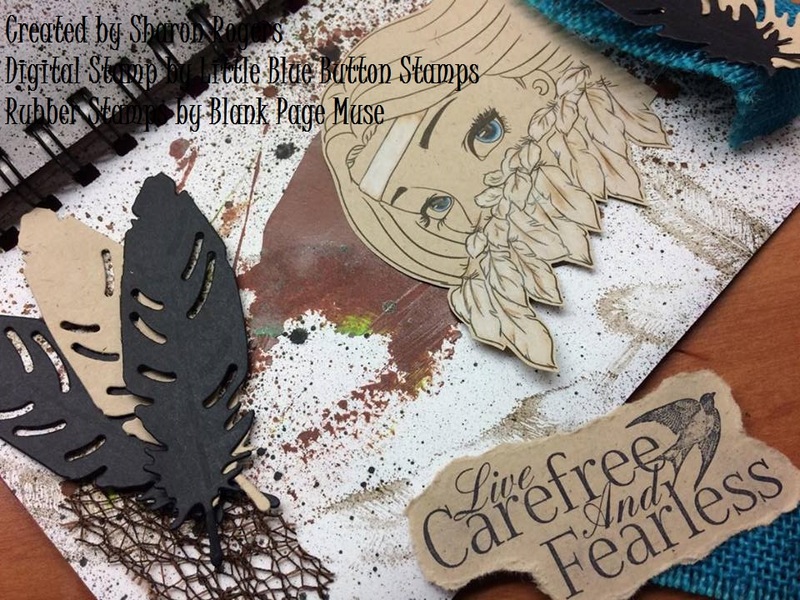 I gathered some matching embellishments to arrange on the page including die cut feathers from kraft and black card, real feathers, hessian, some rubber stamps (feather on the background and the wording both from Blank Page Muse). 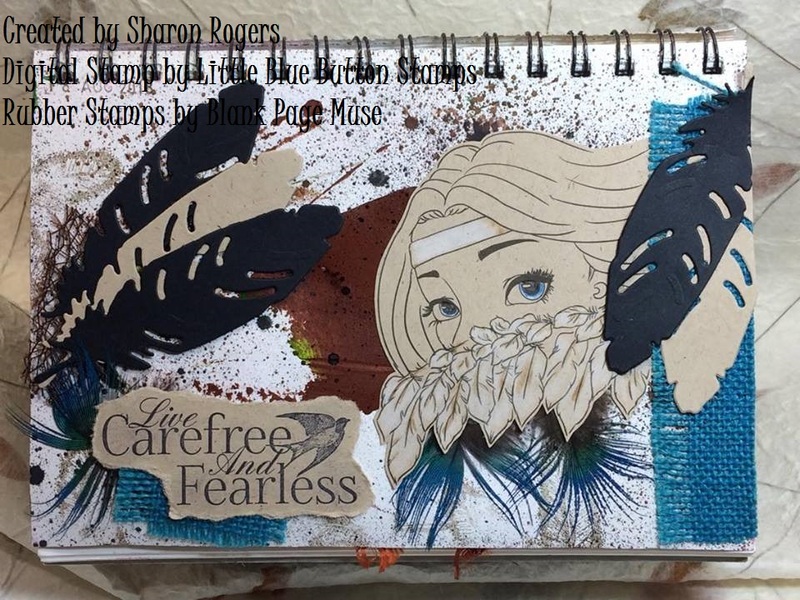 I glued everything down once I was happy with the placement and I have my “Carefree and Fearless” page completed! Miss Lilly is being silly!